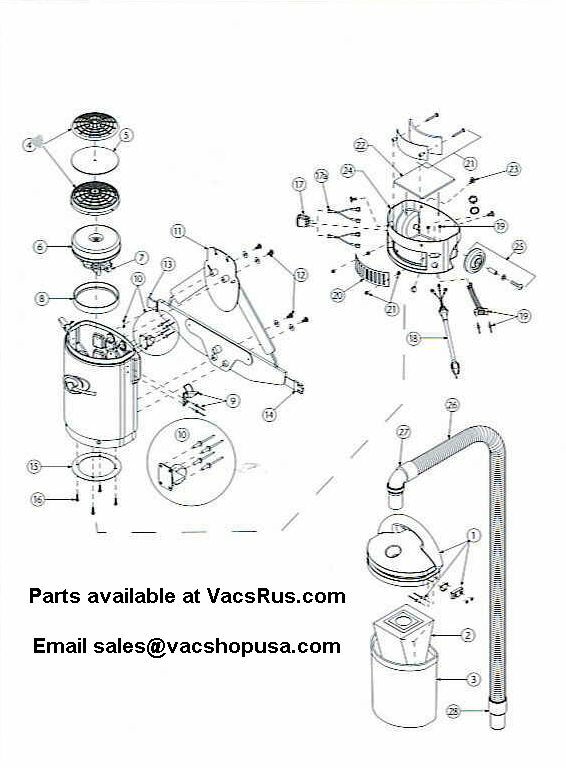 Use this Pro Team part schematic to look up the price of this Genuine ProTeam Sierra part or order online please click on the part number. If the number is not an active link that is highlighted in Blue please email us at chicago@thevacshop.com and we can add it to our on line database. All part numbers for the Pro Team Sierra are listed below the part schematic.